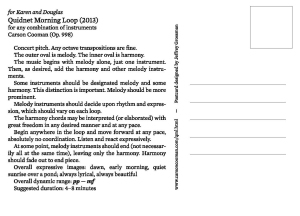 Quidnet Morning Loop is an evocation of an early morning at the beach at Quidnet (a region of Nantucket Island, Massachusetts). From a single vantage point, one can see both the serene beauty of Sesachacha Pond and the ocean. 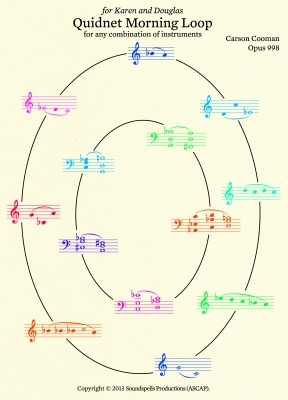 The piece may be performed by any combination of instruments.